Each high-quality, over-sized card measures 2.75 x 4.75 in., and the set is packaged in a sturdy, attractive box. The deck features Egyptian, African, Greek, Roman, Native American, East Indian, and Asian-inspired images. The set also includes wildlife and nature images, photography, abstract and ancient art, as well as touches of fantasy, mysticism, spirituality, metaphysics, and religion. The card meanings are Rider Waite Smith-based, and each card also includes the title and a key word. Most of the titles follow traditional Rider Waite naming, but some have been renamed for a more modern interpretation. The World becomes the Universe, the Hanged Man becomes the Hanged Woman, the Wheel of Fortune becomes the Wheel, the High Priestess becomes the Priestess, the Page becomes the Student, and the Knight becomes the Apprentice. Changes have also been made to the symbols of two of the suits: Pentacles become Coins, and Wands become Torches. This Tarot deck is not meant to be used as a “fortune telling” deck but as a tool of spiritual, mental, psychological, and emotional learning to better understand ourselves and the world around us. The archetypal images and symbols contained in this deck can be used to ignite a passion for inner and outer discovery, to sharpen intuition, and to bring more understanding, empathy, and love into our lives. A multicultural deck for the adventurous, courageous soul! The Lucid Tarot is out of print and no copies were available via 3rd parties at the time of writing. Thank you to M.T. 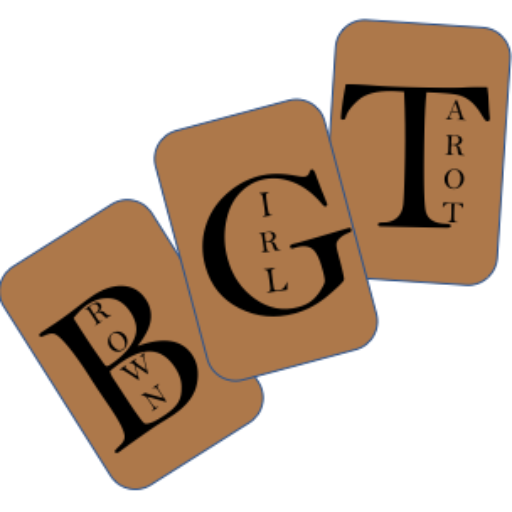 Watson for generously donating a copy to the Brown Girl Tarot Library!